Churchill Limousines has the perfect answer for you best men and maids of honor planning a special party for the soon to be bride or groom. Who needs the hassle and risk of all those partygoers getting home after all that fun? Churchill has 6 - 14 passenger limos, 14 - 20 super-stretch SUV's, and luxury limo-buses available to get your special friends around in style. 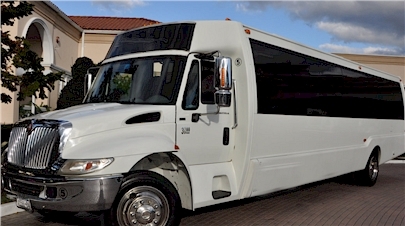 26 - 32 passenger buses PLUS Our 40 Passenger "Mega Bus"... Complimentary beverages available for all ages. Lincoln 5 door "easy access"
Planning a ‘night on the town’? Churchill Limousines offers a wide selection of luxury limousines and SUV's. So whether it's an intimate evening with that special someone, or a party on wheels for up to 40 of your friends, Churchill has the right luxury vehicle for your needs. Treat yourself to a hassle free night on the town or anywhere in the New York Metro area. . Think of if. No searching for a parking space, no worries about getting back home after a few adult beverages. Our professional staff is available for private door-to-door service. Relax and give us a call.